A report by the National Payments Corporation of India (NPCI) has showed that these downloads are not translating to actual cash transactions. The Bharat Interface for Money (BHIM) mobile app, launched on December 30, 2016, in a bid to make digital financial services available to all, was quick to reach the 'Top Charts' section in Android's Play Store in a very short span, but not a lot of users are using it to make transactions. A report by the National Payments Corporation of India (NPCI) has showed that these downloads are not translating to actual cash transactions. "Out of the 19.16 million downloads; 5.1 million customers have been able to link their bank accounts. In many cases customers downloaded the application to see that they have not linked their mobile number to the bank account." Thanks to the Prime Minister Modi's endorsement for the app, BHIM was well received by Indians. Even the National Payments Corporation of India (NPCI) also said there is no vulnerability or loophole reported in Bharat Interface for Money (BHIM) application. NPCI has done intensive testing, robust design of security controls and continuous monitoring of its Unified Payments Interface (UPI) infrastructure, the corporation said in a statement. "The environment in which BHIM or UPI is run by NPCI is highly secure and certified with best global practices," it said, adding the packages have also been audited by reputed IT security firms. NPCI claims that it has put in place adequate governance mechanism for banks to report any fraud or system issues and its redressal, it said. The organization is trying to make the app safer to help boost the number of people connecting the app to their respective banks. BHIM had a glitchy start and had numerous bugs initially which may have faltered the apps practicality for an average Indian consumer. In order to compete with private players like Paytm, the government needs to focus on consistent updates for the application.
" BHIM is a digital payments solution app, for easy and quick transactions, based on the Unified Payments Interface (UPI) from the National Payments Corporation of India (NPCI).
" It allows person-to-person money transfers, scheduled money collection, and transactions to be done through a smartphone. Payments can be made across all participating banks (35 in total).
" BHIM is available only on Android via Google Play. Those without access to data services, can use BHIM by dialing *99# (USSD-based mobile banking service) on their phones.
" When sending money using the BHIM app, the amount will go directly into the receiver's bank account irrespective of whether the receiver has the BHIM app or not.
" 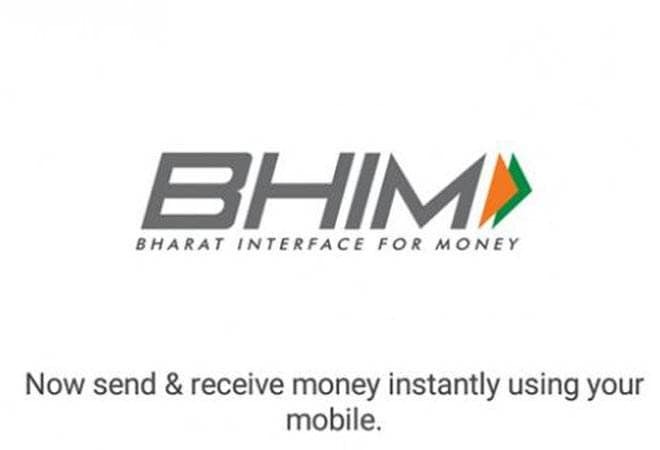 With BHIM, one can directly send, receive, and request for money to and from their bank accounts. There is no need to fill up any wallet to proceed with a transaction. For those using *99#, Rs. 0.50 is charged per transaction.